In an interview on the BBC’s Today Programme a few years ago, the NCTJ’s chair Kim Fletcher said that beyond its practical implications, ‘the notion of learning shorthand – I think it demonstrates a real dedication to the craft. And it means in a day when so many people are jumping up blogging, calling themselves journalists. You go and take the trouble to learn shorthand, and it suggests you’re serious about things’. Fletcher was offering the ability to do shorthand as a critical definer of a real journalist, something which sets them apart from all those others who are ‘jumping up blogging, calling themselves journalists’. Such a marker of distinction might be comforting when ‘the people formerly known as the audience’ have become ‘competitor colleagues’ (Rosen, 2006) and traditional models of journalism work in local and national newspapers are under enormous stress. But their must also be some point to that task. There are plenty of first rate journalists producing first rate journalism in print, on line, on radio, on TV, who have never done shorthand – or who once learned and have since lost it through neglect. And it is unfair to say that they have failed to demonstrate a ‘dedication to the craft’. And offering an ability do shorthand as a critical defining mark of a true journalist puts forward a very limited concept of what journalism is. The simple reproduction of speech leads often to the kind of formulaic reports with which we are all familiar: ‘A said …. B said …. C said’. The Guardian’s Nick Davies bemoaned this form of journalism at the AJE’s annual conference at Sheffield University in September 2008 and called for students to be taught not simply to report what people say, but to investigate, check the facts, dig out the truth. In an interview, the journalist should be thinking hard about the questions she is asking, listening carefully to and thinking critically about the answers. Concentrating on taking a verbatim shorthand note distracts from all this important stuff – when any one of numerous electronic devices can do the job far more efficiently and accurately. And to train journalists today to produce reports in a formulaic manner is to train them for redundancy. Such reports are already being produced by algorithms in the realm of sports and business and even of events such as earthquakes, and the sophistication of these programmes will only increase. Fletcher’s choice of words in that Today Programme interview was telling. I do not propose to revisit arid arguments about whether journalism is a craft or a profession, but he was evoking, and endorsing, the traditional craft-school, indentured approach to journalism training. This was how earlier generations of journalists were prepared to meet the needs of local newspaper editors as they took their first steps on the career ladder. It was a functionalist model that valorised the acquisition of skills, but it also largely discounted the equal necessity of nurturing critical, analytic thinking, and the development of the reflexive, philosophical and theoretical tools necessary to inform professional practice. It offered little or no systematic consideration, for example, of what constituted the public good and how journalists should contribute to that. Journalism education has now largely moved to the university and is delivered at degree level, both undergraduate and postgraduate. A university degree in the Arts and Humanities, where journalism is usually located is not a training course to produce candidates who meet the immediate requirements of a particular group of employers, but to produce ‘thoughtful citizens and potential contributors to the intellectual and cultural life of the society’ (de Burgh 2003: 98). As de Burgh says in his critique of journalism education: ‘It is the very combination of the reflexive practical and the applied theoretical which makes journalism such a terrific subject’ at university (2003: 105). Should a student have achieved that level, but fail their degree for shortcomings on a shorthand module, I suspect that that decision would be open to challenge. 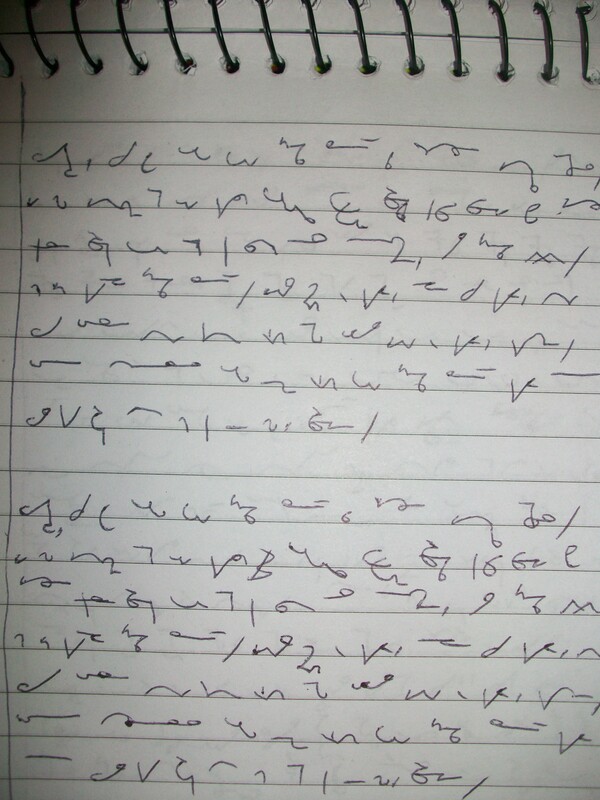 Shorthand also represents a severe challenge bordering on an impediment, for students with learning difficulties, such as dyslexia and dyspraxia. It can be physically draining for students who suffer from muscular disabilities, and disabilities of the arm, shoulder or hand. Is it fair that the award of professional diplomas (or HE degrees) should be available only to those physically able to complete a component that some may find cognitively or physically exhausting? Is it right that we should continue to laud a skill that simply compounds the lack of diversity in the modern newsroom? Shorthand is also a major challenge for students speaking English as a second language; in an increasingly globalised journalistic world, do we really want to offer preferential treatment to journalists by dint of where they were born? But shorthand is also not really very good at doing what it is supposed to do – recording speech. Leaving aside its impracticality when you have a biro, a damp notepad and it is drizzling, advocates for the necessity of shorthand tend to place great faith in the NCTJ’s standard of 100 words per minute. But people usually speak more quickly than that. The news on TV is delivered at around 180 words per minute. And groups of journalists would often gather to confer after a speech or press conference, or trial in order to reach agreement on what was actually said. It is important to report speech accurately and today, to ensure a high level of accuracy, most journalists will use recording devices such as their mobile phones. Especially when their report is going to be posted to a website, or accessed on a mobile, and the editor wants to feature the drama of the spoken word, or even of the full episode captured on video. However, two pragmatic arguments are often put forward for maintaining shorthand and these need to be addressed. A fair point, but technology has addressed it. Modern digital voice recorders allow the user to mark important points on the recording as they run and to return immediately to those points in the recording. And there are now pens available which allow you to take notes while they record speech and by later placing the nib on any point in your notes it will replay what was being recorded when you made that particular note. The recordings and the notes can also be transferred immediately to a computer or any other digital device. Advocates of technology usually refer to it as a skill, but it should be considered less as a skill than as a technology; and as such it is vulnerable to newer, more efficient and better ways of doing what it was designed to do. These days anyone can type with their voice directly into a document in real-time, so long as they have a laptop with built in microphone, and access to a Google Chrome browser and an account to access Google docs. Technology has finally caught up with shorthand and rendered it obsolete, just as it is doing with many other dull, repetitive tasks. The other argument is that reporters are not allowed to record in court. It will be a surprise to some, but that is not strictly true. Section 9 of the Contempt of Court Act 1981 gives judges and magistrates discretion to allow the recording of proceedings in their courts. But at the moment they are rarely asked to exercise that discretion. This is an issuer that was addressed by the Department of Justice Criminal Procedure Rule Committee and their guidance to judges came into force in October 2011. S.9 Use of tape recorders. (c) to use any such recording in contravention of any conditions of leave granted under paragraph (a). (2) Leave under paragraph (a) of subsection (1) may be granted or refused at the discretion of the court, and if granted may be granted subject to such conditions as the court thinks proper with respect to the use of any recording made pursuant to the leave; and where leave has been granted the court may at the like discretion withdraw or amend it either generally or in relation to any particular part of the proceedings. (3) Without prejudice to any other power to deal with an act of contempt under paragraph (a) of subsection (1), the court may order the instrument, or any recording made with it, or both, to be forfeited; and any object so forfeited shall (unless the court otherwise determines on application by a person appearing to be the owner) be sold or otherwise disposed of in such manner as the court may direct. (4) This section does not apply to the making or use of sound recordings for purposes of official transcripts of proceedings. The Department of Justice Criminal Procedure Rule Committee considered Section 9 and the issues raised by recording in court by the press and others and published the following Consolidated Criminal Practice Direction effective from October 3, 2011. Part 1.2, Unofficial recording proceedings. (c) any possibility that the use of the recorder would disturb the proceedings or distract or worry any witnesses or other participants. Consideration should always be given whether conditions as to the use of a recording made pursuant to leave should be imposed. The identity and role of the applicant for leave and the nature of the subject matter of the proceedings may be relevant to this. The particular restriction imposed by section 9(1)(b) applies in every case, but may not be present to the mind of every applicant to whom leave is given. It may therefore be desirable on occasion for this provision to be drawn to the attention of those to whom leave is given. The transcript of a permitted recording is intended for the use of the person given leave to make it and is not intended to be used as, or to compete with, the official transcript mentioned in section 9(4). With regard to 1.2.2(a) in the Practice Directions: Reporters have traditionally used shorthand to record court proceedings and judges and magistrates have not as a matter of course permitted reporters to use sound recording devices to support their note-taking. But in drafting the original Act, Parliament clearly recognised that there were occasions when it would be appropriate to permit non-official recordings by people involved in cases. The Department of Justice Criminal Procedure Rule Committee recognised in the practice directions referred to above that it was appropriate for a court (including Crown and Magistrates courts, inquests and tribunals) to take into account a ‘reasonable need’ on behalf of an applicant to make a recording, and that such an applicant may be ‘a person connected with the press or broadcasting’. The ‘reasonable need’ a journalist would put forward would be to enable him or her to make a ‘fair an accurate’ report’ to be ‘published contemporaneously with the proceedings’ – criteria such a report must meet in order to hold privilege under the Defamation Act Section 14 (1). In the first instance, as the Practice Directions make clear, the general prohibition in the CoC Act of Section 9(1) (b) would apply and a reporter breaching those terms would be liable to penalty under the Act. A journalist would also be putting his or her employer in jeopardy: a double disincentive against a breach. But a degree of trust is inevitably required. From time to time judges have exercised their discretion under Section 9 of the CoC Act to permit recording by members of the press as an aid to making an accurate report. Mark Turnbull, a blind reporter (now sadly dead) who used to work for the BBC on Teesside, was permitted to use a tape recorder when covering the Crown and Magistrates courts, inquests and tribunals, in that area. If a journalist is permitted to use a recording device because he or she is blind or otherwise disabled, and is trusted not to publish or play the recording in the hearing of the public, that permission to record is granted simply in order to allow a journalist who has no other way of taking an accurate note to do so. The expression of trust in the journalist not to misuse the recording does not seem to be conditional upon him or her having a disability. A lack of shorthand may not be a disability, but it is an impediment to a reporter making a fair and accurate report, and should equally be considered by the court to constitute a ‘reasonable need’ to make a recording to ensure the accuracy of her notes. But I would also argue that a reporter who did possess good shorthand would nevertheless be making a reasonable request to record the proceedings if she did so in order to ensure that there was an accurate record against which her shorthand note could be checked should doubt arise over a particular passage. She might, for example, have misheard it or might not have taken a note of an exchange that later turned out to be significant. With regard to 1.2.2(c) Having regard to ‘any possibility that the use of the recorder would disturb the proceedings or distract or worry any witnesses or other participants’. Modern digital audio recording devices are small and inconspicuous, have built-in microphones and can record for many hours at a time. There would be no need to use a microphone on a cable connected to the device, which would make it obvious that the proceedings were being recorded. There would be no need to change tapes at intervals. The digital devices have no moving parts and are noiseless in their operation. Some recorders, but not all, do emit a brief beep when switched to record mode. With regard to I.2.3: Consideration should always be given whether conditions as to the use of a recording made pursuant to leave should be imposed. The identity and role of the applicant for leave and the nature of the subject matter of the proceedings may be relevant to this. There would be no problem with the judge imposing a condition that, for example, any recording be deleted once it had been transcribed or used to ensure or confirm the accuracy of a note. With regard to I.2.4 (need to remind the person making the recording that the prohibition in 9(1)(b) applies in every case) and I.2.5 (that the recording is not an official recording and is for personal use). These would not stand in the way of the proposal that recording be allowed. It has long been assumed by journalism educators that recording in court is not allowed and student journalists are warned about this in their media law classes. But judges have had discretion in this matter since 1981 and since 2011, they have been advised to exercise that discretion – and specifically, to exercise that discretion to the benefit of a person connected with the press or broadcasting. This has not been the only movement in this direction from the judiciary. In March 2011, the then Lord Chief Justice LCJ Judge, voiced his concern that courts were going unreported and his belief that the courts could take advantage of new technologies in order to facilitate better, and more, reporting of judicial proceedings. ‘My fervent hope is that the advance of new technology will make it easier for the media to be ‘present’ in court, and that the present trend for fewer and fewer reporters in every court will come to an end, or at any rate, that court proceedings will be reported….. Judges might initially be reluctant to allow journalists to record their proceedings. But I suggest that if it became routine for reporters to ask for permission, it would soon become routing for judges to grant permission, as they do now for reporters to tweet from court. While journalism educators are priming their charges to challenge reporting restrictions they should also be priming them to ask permission to record – in accordance, of course with S9 of the Contempt of Court Act 1981. Judges were initially resistant to reporters using Twitter to report from court. But, in part in response to then LCJ Judge’s reflection on technology and court reporting, this resistance has largely disappeared and that has led to something approaching a (small scale) renaissance of the art. If you know where to look. The most high profile, and arguably the most high-impact court reporting in the UK in recent years hasn’t been transcribed into shorthand – its been typed up in 140 characters or less, and published in near-real time direct from the court room. Just look at James Doleman’s coverage of the Coulson perjury trial; Peter Jukes’ coverage of the hacking trial, or more recently, Martin Hickman’s coverage of the Neil Wallis trial. Today’s court reporters prefer Twitter to Teeline. This paper has contested the argument that shorthand is a marker of the real journalist, and countered the case that it remains an essential skill. But there are some advocates of shorthand, in education and in some parts of the industry, for whom it seems to be almost an article of faith that people who want to become journalists must learn shorthand. It is difficult to challenge dogma through reason alone – but the validity of the doctrine is being questioned, even in the inner sanctum. In June this year even NCTJ CEO Joanne Butcher said questions needed to be asked about the ‘relevance of touch typing, coding and shorthand’. I submit that this paper has answered those questions, at least insofar as shorthand is concerned. Coding and touch typing are matter for another occasion. David Baines is Senior Lecture in Journalism at Newcastle University, degree programme director of the MA in International Multi-Media Journalism, and teaches media law. He is a member of the AJE Committee. discipline’’, Journalism 4(1), pp. 95_112.